MoonDog, the Cavaliers moscot made it in the FoxSports’ Courtside celebs photo. 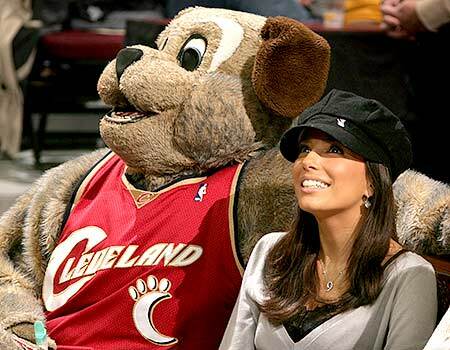 MoonDog was with actress Eva Longoria of ABC’s “Desperate Houswives” during the San Antonio Spurs and Cleveland Cavaliers game. The Top 50 – Where is Lebron?